By Matthew Jaber Stiffler In the winter of 2013, the Arab American National Museum and the National Network for Arab American Communities partnered with the National Voices Project (NVP) to investigate, among other things, media bias against racial, ethnic, and religious groups. The NVP surveyed more than 2,600 adults across the country that work or volunteer with children, including educators, health care workers, religious leaders, and social workers. Respondents were asked a series of questions about the communities in which they work, and were then asked about negative media bias against various groups. Across the board, survey respondents agree that there is a “persistent negative media bias” against Muslims and Arabs/Arab Americans. Nearly 50% of adults believe there is a persistent negative media bias against Muslims and 44% believe the same of Arabs/Arab Americans. With the long history of Hollywood’s stereotyping of Arabs and Muslims (the history of which is explored throughout this online exhibit), the NVP survey results are not really surprising. Jack Shaheen, Evelyn Alsultany, and other scholars have argued that Hollywood faces less stigma for stereotyping Arabs and Muslims as opposed to other ethnic, racial, and religious groups. Imagine Jewish or African American characters being portrayed in such persistently negative ways as Arabs or Muslims. In reality, Jewish people and African Americans (see also: Who Else Has Been An Other) were portrayed in blatantly racist and offensive manners for decades. In fact, many of the present-day offensive stereotypes of Arabs and Muslims are based on horrible caricatures of Jews and African Americans from more than a hundred years ago. Jewish people were often portrayed as thieves and liars with big hook noses, and African Americans were almost always represented as simultaneously child-like but dangerous to the American (read: white) way of life. But civil rights organizations spoke up and continue to speak on behalf of these groups and have fought for more accurate representations. Although survey respondents did feel that media bias against African Americans (40%) and Jewish people (23%) remains a problem, it is clear that Muslims and Arabs are currently in the (negative) spotlight. The history of stereotyping and media bias in the United States follows a clear trajectory: media bias increases when a specific ethnic, religious, or racial group is seen as a threat to national security (economic or otherwise). For example, Hispanics/Latinos have long been the focus of persistent negative media bias. Recent popular and political discourses on immigration portray “illegal” immigrants from Latino countries as a threat to the economy and safety of the nation. Couple this with the fact that there are few, positive representations of Latinos in mainstream Hollywood movies and television, and savvy consumers of media will recognize the persistent bias (39% of adults in the NVP survey did). But much like Jewish and African American organizations, Latino groups have become more numerous and more vocal in responding to negative representations (see also: Impacts of Othering). Just as Latinos have come to embody the immigration debate in the U.S., since the 1960s, representations of Arabs and Muslims in political discourses and in news media have typically been focused on terrorism or violence. 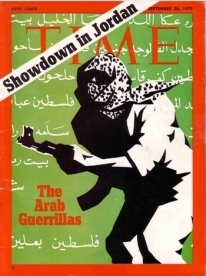 Following the tragedies of September 11, 2001, Arabs and Muslims were even more frequently presented as potential “terrorists.” Because the portrayals are linked with U.S. policy and geopolitical situations, it can make it more difficult to fight against popular representations in Hollywood, as the public may more easily accept the stereotypes as reality. Given this media emphasis on Arabs and Muslims, and with the recent rise in Islamophobic rhetoric, it is not surprising that educators, social workers, and religious leaders would recognize this persistent bias. Another factor that can influence media bias is visibility. Arabs and Muslims are “hypervisible,” to use wording from Evelyn Alsultany, in representations and discourses about terrorism, but are less visible in everyday life. The Arab and Muslim communities in the U.S. are relatively small. Most estimates put the Muslim community at 1% of the total U.S. population and the total Arab American community at about 1% as well. Further, a recent TIME poll found that more than 60% of Americans do not personally know any Muslims. That such a small percentage of the U.S. population can be the focus of so much negative media attention reinforces the “hypervisibility” argument. Perhaps as these Arab American and Muslim groups become more structured in their response to media stereotyping, the persistent negative bias may be curtailed. It is important to reiterate that the NVP survey results reflect how respondents see the current state of media representations. If the survey asked about negative media bias from a historical perspective, the results would be much different. For example, Native peoples are largely absent from current media representations, which may account for respondents not seeing a persistent media bias (only 16% did). But the history of media stereotyping of Native peoples is quite clear, especially in Hollywood’s golden age of westerns and adventure films, where Native peoples were nothing more than something for cowboys to shoot at. Much of these early films sprung from the rhetorical legacy of Manifest Destiny and the forced removal of Native peoples from their lands, showing the connection between policy and portrayal. 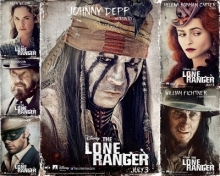 In 2013, the debate over representations of Natives was rekindled as Disney released a rehash of the Lone Ranger and his sidekick Tonto. Disney’s The Lone Ranger helps to illustrates that media stereotypes never really disappear; rather, they simple change to fit different contextual realities. Stereotypes of Asian Americans have also morphed and changed through the decades. Much like Arab Americans have been represented more recently, Asian Americans have been depicted as the enemy and the perpetual foreigner, especially in the World War II-era. But current media portrayals of Asians and Asian Americans can be seen as more “positive,” that is, if Asians are represented at all. Instead of being seen as potential enemies of the state, Asians are stereotyped as quiet or intelligent, but almost always having an accent and being portrayed as the foreigner. Media viewers may not interpret these representations as a “persistent negative media bias,” even though these representations of Asians are stereotypical (only 13% of NVP respondents believe there is a persistent bias of Asians/Asian Americans). Perhaps the main conclusion of the NVP survey results is that movies, sitcoms, and television news do a poor job of representing the reality of all peoples, from Arab Americans to African Americans and from Jews to Christians. If Hollywood has not changed much in nearly a century, except shifting negative representations from one group to another, then is there much hope for fairer representations in the future? Regardless, we should all strive to be more astute consumers of media, rewarding producers of accurate representations and voicing our displeasure at misinformed ones. Passivity only renews Hollywood’s license to stereotype. For a vivid description of this stereotype lineage see Ronald Stockton’s chapter, “Ethnic Archetypes and the Arab Image,” in the volume The Development of Arab American Identity, edited by Ernest McCarus and published by the University of Michigan (1994). See the following article for a discussion on the contemporary use of the word “illegal” in the immigration debate: http://www.washingtonpost.com/blogs/post-politics/wp/2013/04/02/ap-drops-illegal-immigrant-from-stylebook/. The Pew Forum on Religion and Public Life has really strong data: http://features.pewforum.org/muslim-population-graphic/#/United%20States. The Arab American Institute also has good demographics at http://aaiusa.org/pages/demographics/. See an analysis of the TIME poll at http://www.time.com/time/nation/article/0,8599,2011799,00.html. Some critics denounced the film as a continuation of decades-old stereotypes of Natives, while some, including the Director of the National Museum of the American Indian, found the film’s portrayal of Natives a welcome improvement. Perhaps no group has been stereotyped more negatively than gay men and lesbians, globally and in the United States. In a discussion of how the dominant culture creates in-groups and demonizes out-groups, you might want to include groups that are not defined only by ethnicity, and sexual minorities are, by most accounts, the quintessential 'other' in many societies, suffering accordingly. An excellent book on the treatment of gays and lesbians in the US media is "the Celluloid Closet" by Vito Russo. I'd highly recommend it to anyone looking at minority stereotypes in the media. The book carefully documents how media portrayals reflect social messages about the minority at each point in time. An excellent film by the same name was produced in 1995, narrated by Lily Tomlin. Thank you Ken, for your thoughtful comment. You are indeed correct that gay men and lesbians have not only been stereotyped and othered in Hollywood, but that many analyses of Hollywood's treatment of minority groups tend to not take account of this history. Thank you for the source suggestions as well, and hopefully other readers will take it into account.